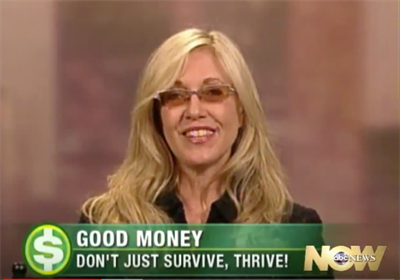 Join financial expert and #1 stock picker Natalie Pace as she explains how you can profit from putting your money where your heart is. How would you live if you had all the money in the world? What companies would you invest in? The beauty of the stock market is that with very little money, you can create that life now. You can become not just a rich person and a great investor, but someone who does all that by investing in things that you love and want to promote. If you can shop, you can pick stocks. If you know your age, then you know what percent of your retirement plan you should keep safe, i.e. not invested in stocks. Once you discover how the dollars you invest create our world, you can start investing in the products, goods and services that will make our planet a great place to live. 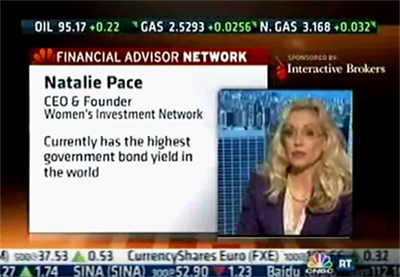 Natalie Wynne Pace is an Advocate for Sustainability, Financial Literacy & Women's Empowerment. 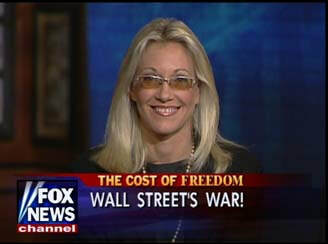 She is the co-creator of the Earth Gratitude project and the author of the Amazon bestsellers The Gratitude Game, The ABCs of Money and Put Your Money Where Your Heart Is (aka You Vs. Wall Street in paperback). She has been ranked as a No. 1 stock picker, above over 835 A-list pundits, by an independent tracking agency (TipsTraders). The ABCs of Money remained at or near the #1 Investing Basics e-book on Amazon for over 3 years (in its vertical), with over 120,000 downloads and a mean 5-star ranking. The 2nd edition of The ABCs of Money was released in 2018. 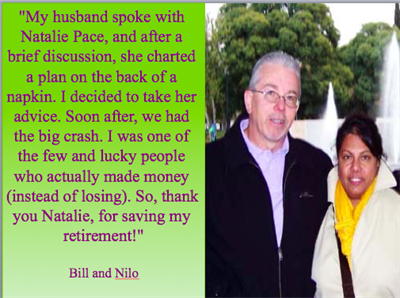 Natalie Pace's easy as a pie chart nest egg strategies earned gains in the last two recessions and have outperformed the bull markets in between. 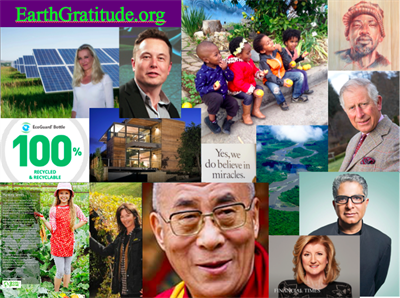 That is why her Investor Educational Retreats, books and private coaching are enthusiastically recommended by Nobel Prize winning economist Gary S. Becker, TD AMERITRADE chairman Joe Moglia, Kay Koplovitz and many Main Street investors who have transformed their lives using her Thrive Budget and investing strategies.